Does this ball raise hell?? Our latest tester, John Chapman, is testing the DV8 Hell Raiser. John is a senior PBA member and has cashed in 14 of 16 national events. He is a medium speed, rev and speed matched bowler. The ball was drilled by Eric Deaton of Strike-Mor Pro Shop in Etobicoke, Ontario, Canada. The ball was tested on a modified Kegel Easy Street used as the house shot as well as the Kegel Autobahn Sport shot. On the house shot we test the Out of Box (OOB) finish as well as 4000 abralon + polish. On the sport shot, we test the OOB finish. John’s PAP is 4 3/4″ and 3/4″ up. The ball is drilled 55 x 2.5 x 55. These angles are pretty neutral overall and the 2.5 pin to PAP distance gives the ball medium flare. I’m not totally in love with the colors but the ball definitely comes off as a strong piece. The price is just a bit under the high end balls from most other manufacturers. The Hell Raiser Core has a low RG of 2.537, differential of .054, and mass bias of .016. The core definitely has numbers suggestive of an aggressive core. The cover is called Class 5 Reactive. It’s finised at 500, 1500 Siaair, then Rough Buff. It’s pretty strong out of box and really seems to prefer heavier conditions. WIth that said, we had no problem adjusting surfaces on this ball. The video demonstrates what the ball is capable of in the hands of a rev and speed matched bowler. While I believe you can watch several bowlers throw huge hooks with this ball, John’s roll will be more realistic on a typical house shot for those who have average hand. The ball was able to make a consistent move at the breakpoint. On the house shot in out of box, it can work, but it’s a lot of ball. If you don’t have a lot of hand, but the ball moves too much, you must make a coverstock adjustment. John demonstrates the ball reaction from deeper in on the house shot and while he struck, the ball labored to make it back to the pocket. However, once we changed the surface to 4000 abralon and some polish, the ball worked much better on the house shot. He was now getting a consistent reaction with a read at the right time to carry pretty well. 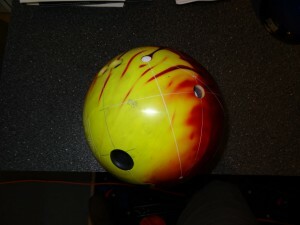 On the 42 ft Autobahn sport pattern, the ball was a beast for John in the out of box finish. It really made a very consistent strong move to the pocket. Usually long patterns cause balls to wiggle and have a hard time making a move to the pocket. Not this ball. It moved and kept on driving. Overall, this ball is an aggressive piece. As typical with very strong balls, they may be hard to work with on a typical house shot unless you play around with the surface. Even then, it is still on the strong side. If you are speed dominant, this may be a good option on a THS. If you are Rev dominant, you can probably get deep and see really good recovery. For people in between, you may be caught where you can’t square up enough, but too deep will have the ball laboring. In contrast, on the sport shot, especially a heavier, longer one, this ball worked really well for the tweener. 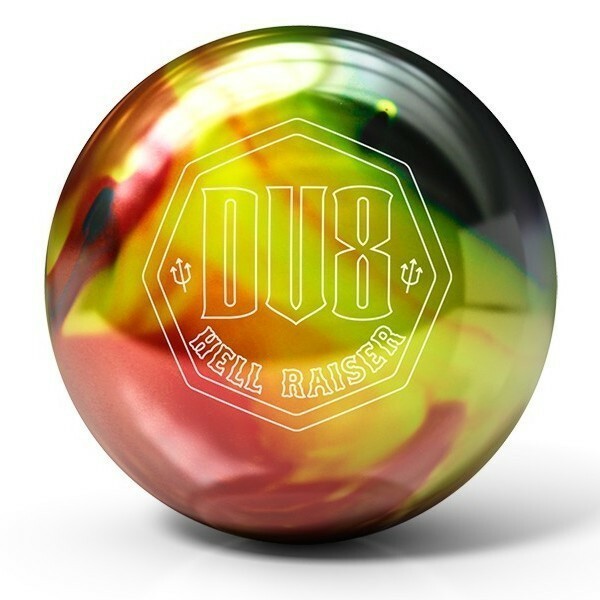 If you are looking for a stronger ball in the arsenal and want to try a “new” brand, this might be an interesting ball to look at.